Legacy Solo Super-LED emergency warning lightbar was designed from the rugged extrusion up to maximize performance. Now more competitively priced and with the added features you want! Single color Super-LED modules in new reflector assemblies. Height without mounting feet is only 1-5/8”. New Diamond Optix™ (Patent Pending) linear reflector optic design. Newly designed, high-output linear combo “Multi-Angled” corner modules produce light straight out and to the side. These modules cover the critical 45° angles. The four combo modules produce 360° warning signal. 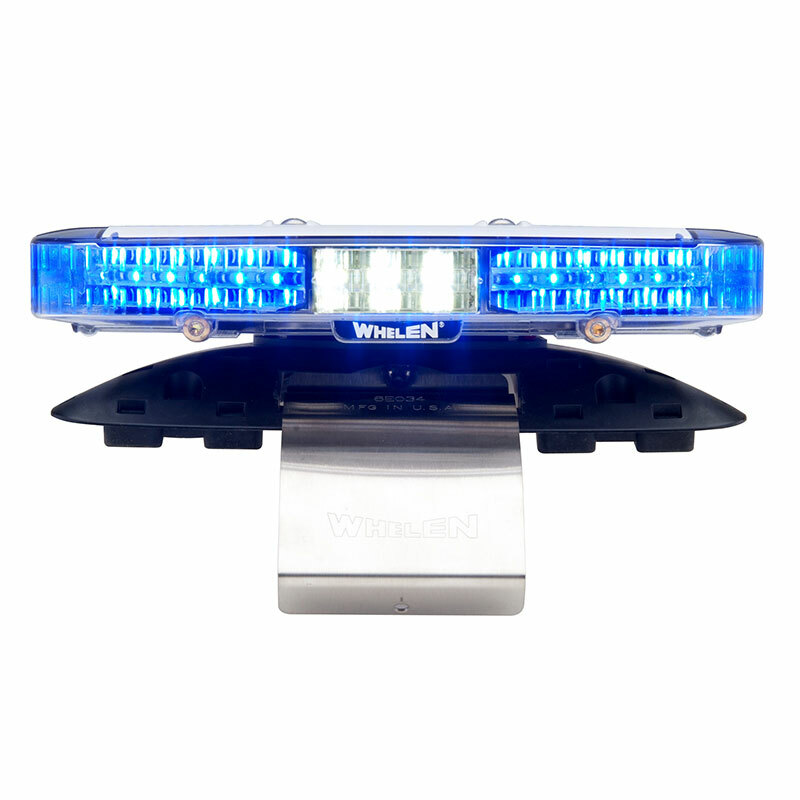 Whelen’s exclusive Collimator™ patented design captures, collects and focuses light for unbeaten light output. Optional Traffic Advisor™ in single or DUO™ color. Optional take-downs are available in 3 or 6 diode TIR LED modules with 15° adjustment. Optional alley lights are available in a 3 diode module that is 15° adjustable. Advanced Thermal Design “ATD” provides attention demanding new flash patterns for more lighting ontime. 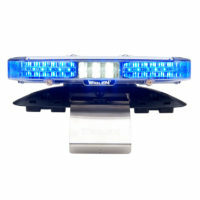 These include SteadyFlash™ for use at nighttime traffic stop/accident scene for added protection for officers. ATD reduces the stress on the LEDs themselves, when the dwell time of the LEDs is extended. One piece UNI-DOME construction with a single sealing point. Each dome slides onto the aluminum extrusion and wraps around all internal components while the wiper seal protects your lightbar from the worst elements. 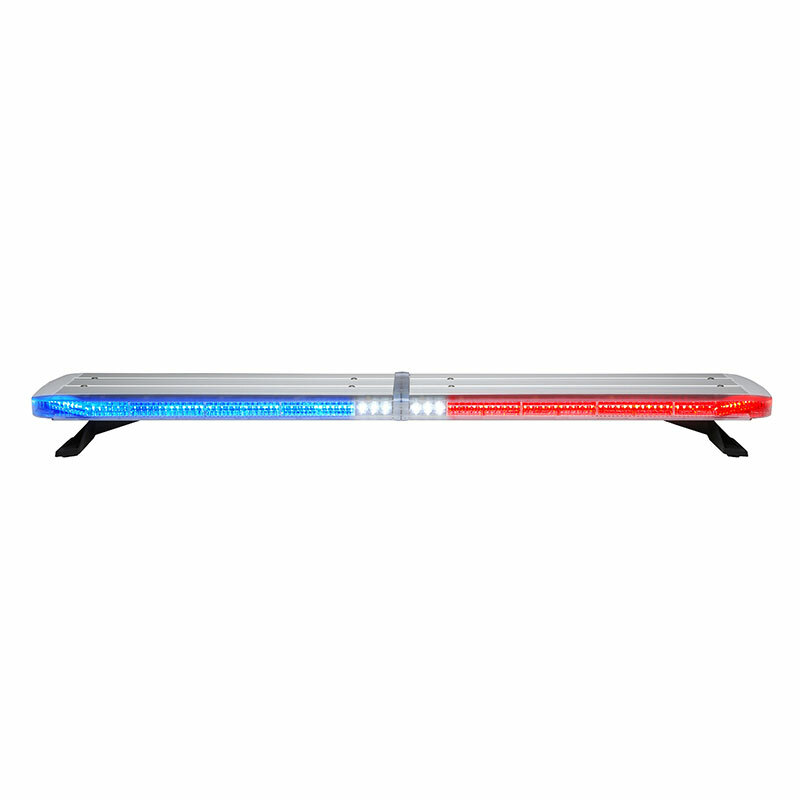 Metal top shield stays cool to the touch, protects the lightbar from nature’s elements such as hail and provides passive solar radiation to direct heat away from internal components to ensure long life and reliability. Center divider(s) with LIM (Liquid Injection Molded) wiper seals ensure lightbar integrity in all conditions. Legacy “plug and play” into the CenCom Sapphire™ or CanTrol™ controller. A WeCan® controller module is supplied for use with other switch centers. Hard-coated lenses shrug off environmental damage from the sun, salt and road chemicals. Optional corner, long and short module color filters. Available in Red, Blue or Amber. Optional photocell to automatically dim at night and still meet SAE Class1 requirements in low power mode. The I/O board snaps into brackets, and point to point wiring between each lighthead and the I/O board creates a clean look and allows for easy serviceability. Standard lengths: 44” (110cm), 48” (123cm) and 54” (136cm).